In the early ’70s, Dr. Galdikas traveled from Los Angeles to the Indonesian province of Central Kalimantan on Borneo island to study the red-haired primates. 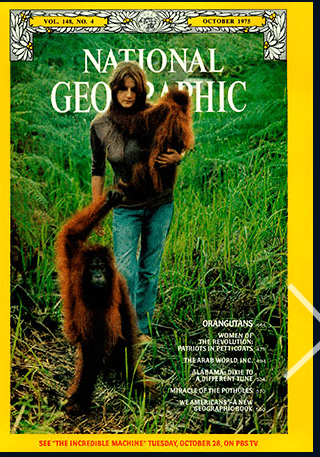 She has spent much of the last 45 years on the island, researching the orangutan and fighting to protect its habitat. 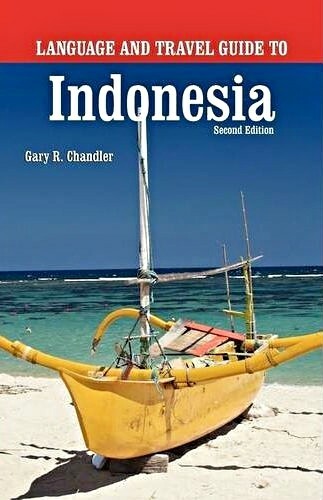 For decades, Dr. Galdikas was one of the few travelers to the inner region of Borneo. Getting there required an arduous journey and there was little infrastructure once one arrived. Government investment in the region and a smattering of eco-lodges and expedition companies are changing that. The draw for most visitors is Camp Leakey, the research and education center in Tanjung Puting National Park that Dr. Galdikas established and named for her mentor, Louis Leakey, the paleontologist, archaeologist and anthropologist. Below are edited excerpts from a conversation with Dr. Galdikas about Kalimantan, Camp Leakey and the orangutans. Q. How has Kalimantan changed? A. In 1971 when I first went there, it was one of the wildest places left on earth. There were still headhunters on the interior. There were no roads. Rivers were the only highways. Tourism began in this area only about 20 years ago. I remember a pamphlet that the government issued that told people what a tourist was, what you did with a tourist. One of the wonderful things about Indonesia is the warm, gracious people. They treat tourists as guests. We have encouraged tourism. We wanted to bring tourists to increase awareness of the orangutans. At Camp Leakey, we see up to 15,000 a year from all over the world. The local people saw them coming in and built up the tourism industry. The good thing is that the money stays in the area. The cooks are local. The guides are local. The boats are local. That’s one of the reasons the local people are so supportive. What do visitors do or see at Camp Leakey? After you go into the education center, you can walk to the feeding station. Once a day, the orangutans are provided with fruit and they usually come through the trees to the feeding platform. The feeding lasts two hours and some people watch them the whole time. The time to come is now. I went to see the gorillas in Rwanda and there are only a limited number of visitors allowed. There are very strict rules. It’s wise. The national park at Tanjung Puting has investigated what it would take to set up a system like that. There’s no limit at this point. It’s not necessary yet. You get very intimate encounters with the orangutans at Camp Leakey. Besides increasing awareness, how has tourism impacted the orangutans? So far it’s mainly been good. The tourism is controlled. You can only come to the feeding [at Camp Leakey]. You’re not allowed to wander alone in the forest. It enhances the value of the park to the local people and then they will fight for it. Tourism directly benefits the orangutans. It makes the local people want to protect them. 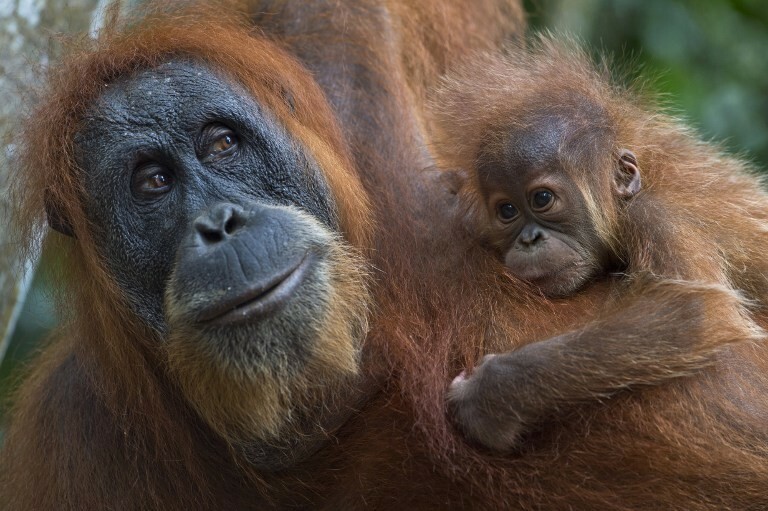 The main issue for orangutans in Southeast Asia is palm oil plantations. The forest needs to be cleared completely for the plantations. Orangutans spend 90 percent of their time in the tree canopy. When you cut down the trees, they have nowhere to go. We’re headed toward a point where most of the orangutans we see will be in captivity or at Tanjung Puting.